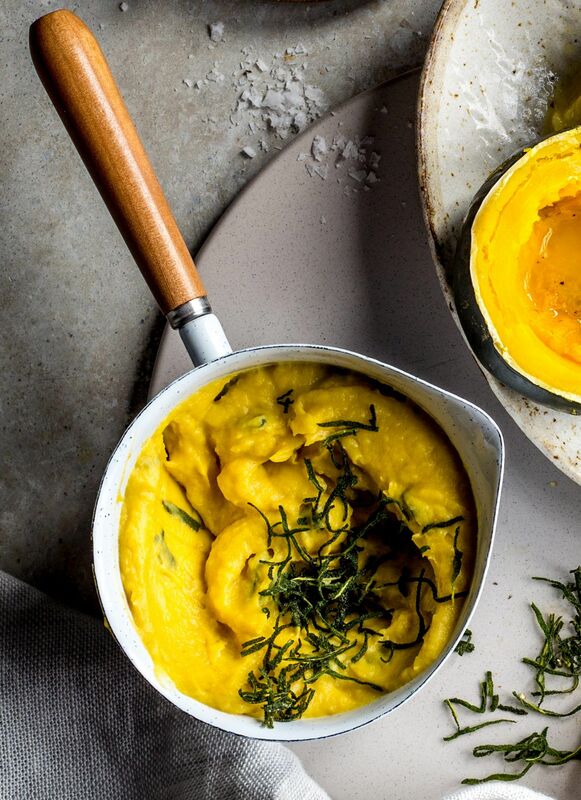 This creamy squash puree is blended with butter for a deliciously rich and nutty flavor. Melt the butter in a medium pot and get it hot until it goes nutty brown. Quickly add the cream and bring it to the boil then simmer it gently until it reduces by half. Now add the flesh of the squash, crushing and stirring it gently with a wooden spoon over the heat until the cream and the moisture dry up and the mix is thick and holding its shape. Season it with salt and pepper to taste and serve immediately.